"The climate crisis may at times appear to be happening slowly, but in fact it is happening very quickly - and has become a true planetary emergency. The Chinese expression for crisis consists of two characters. The first is a symbol for danger; the second is a symbol for opportunity. In order to face down the danger that is stalking the planet and move through it, listeners first have to recognize that they are facing a crisis. So why is it that public leaders seem not to hear such clarion warnings? Are they resisting the truth because they know that the moment they acknowledge it, they will face a moral imperative to act? Is it simply more convenient to ignore the warnings? "Perhaps, but inconvenient truths do not go away just because they are not seen. Indeed, when they are not responded to, their significance doesn't diminish; it grows." 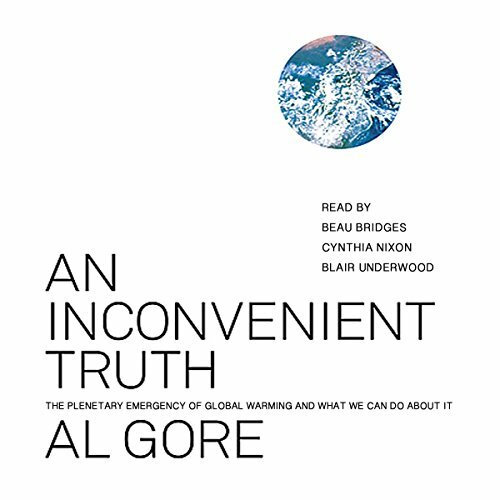 ©2006 Al Gore (P)2008 Simon and Schuster, Inc.